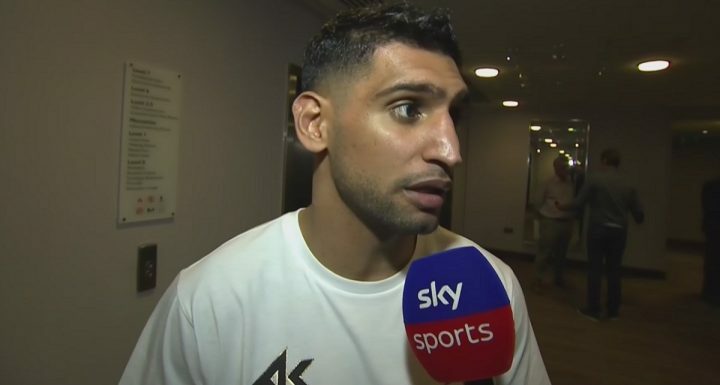 Okay, it’s great to be confident, as well as brutally honest – and Khan did say to Sky Sports how “I’m not going to lie, this guy has nothing to beat me with” – but complacency can be a bad thing. A very bad thing. Rewind to 2008, to the Prescott disaster, or to 2012, to the Garcia car crash, and Khan was talking almost exactly the same way as he is right now. Khan is just one win removed from that nasty, potentially career ending KO at the hands of Canelo, and maybe his display of utter confidence, some would maybe say arrogance, is a little worrying for his fans. Khan cannot afford another defeat, we all know that, and should he suffer one his career at anything close to elite level is over, so maybe, just maybe Khan should be giving Colombian Vargas, 29-3-2(14), a man who has been stopped only by Errol Spence and by the aforementioned Garcia, a little more respect. But Khan, 32-4(20) says he has nothing at all to worry about here. If Vargas is struggling/has struggled to make the 147 limit, then maybe Khan will have himself an easy night. Still, Vargas is talking a great fight, insistent as he is that he will cause the big shock and flatten Khan – stating a while back how he only has to hit Khan’s chin once and it’s all over. It’s an interesting fight, and Khan-Vargas adds to the weekend of big (ish) welterweight fights, with Shawn Porter and Danny Garcia clashing in a more important fight. But Khan may not get the walk in the park he says he will likely get. Would a Vargas win be a shock? Okay, maybe, yes – but not as big as the ones Prescott and Garcia scored over the Bolton man. Khan had better not enter the ring looking past Vargas. Maybe that 40-second KO over Phil Lo Greco was a win that went to Khan’s head, at least a little.